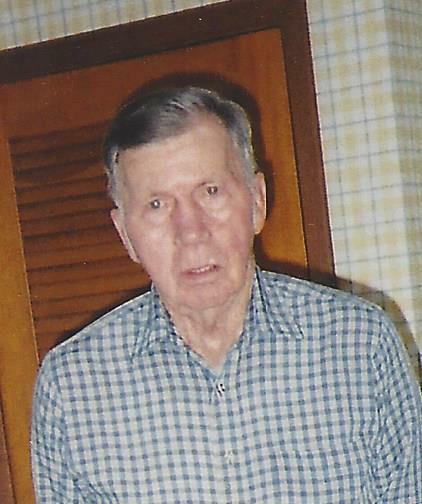 John D. “Boze” Carr, 86, of Greenup, IL passed away at 7:50 PM on January 19, 2019 at Cumberland Rehab & Health Care in Greenup, IL. Funeral services will be at 1:00 PM on Wednesday January 23, 2019 at the Barkley Funeral Chapel Greenup, IL. Visitation will be held from 11:00 AM to service time on Wednesday. Burial with Military Rites will be in the Greenup Cemetery. John was born on February 25, 1932 in Greenup, IL to Clifford & Edna (Donley) Carr. He married Ethel Owen on March 14, 1953. Surviving is his wife; Sons Brad Carr of Mattoon and Jeff (Dianna) Carr of Greenup; Canine Granddaughter Baylee; Sisters Nellie Markwell and Susie Callahan. He was preceded in death by his parents; Brothers Bill, Hank, David and Jack Carr; Sisters Edith Markwell, Ruby Wright, Mary Ellen Moss and Maye Ozier. John grew up on a farm and worked with his Fathers sawmill, he also worked at IBC Homes in Mattoon and Village of Greenup Supervisor of Utilities for 20 plus years. He served in the US Army during the Korean War. He was a member of the Greenup VFW and American Legion. For a time, he was a Cumberland County Democratic Precinct Committeeman. He loved mushroom hunting, gardening and Baseball (St. Louis Cardinals). Memorials can be made to the Donor’s choice. Online condolences can be expressed at www.barkleyfuneralchapels.com.